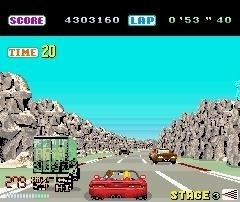 Final freeway and Final Freeway R2 are great Outrun clones for iOS devices, check them out if your a OutRun fan you won’t be disappointed. 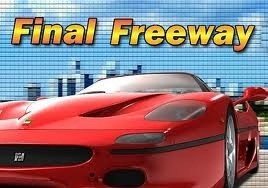 Final Freeway puts you in control of a Ferrari F50 look-a-like car and the main aim is just like OutRun, dodge on coming traffic and Drive like a demon down the twisting straights and round the corners before the time runs out. The graphics are good and the sense of speed in the game is amazing. 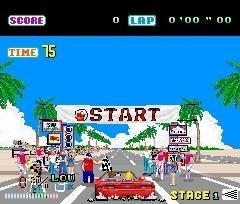 It’s great fun to play and if you like 80’s games like OutRun you will enjoy it. Because the game can be finished in under 6 minutes you will find yourself chasing the high scores. It’s easy to get pulled in and lose an hour just like that. 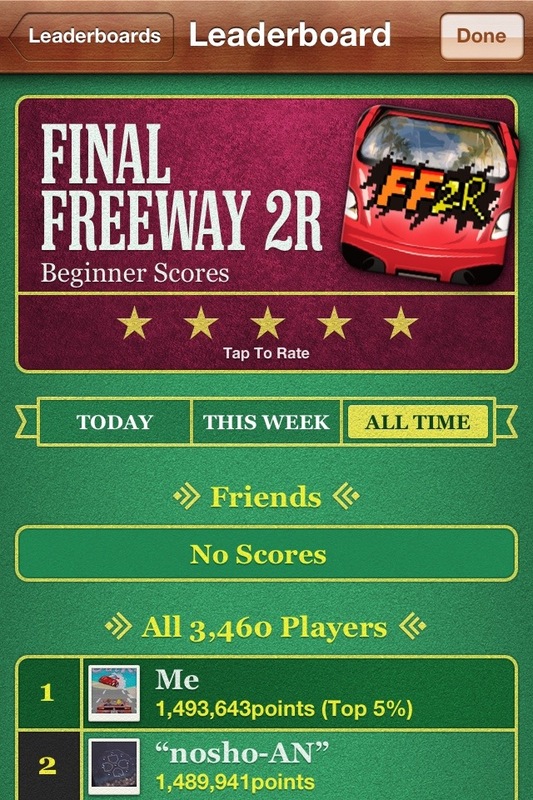 Final Freeway 2R is a similar game to the original. 2R’s graphics design had gone for the cartoon look..personally I prefer the style of the original though. This time your in s Ferrari 360 Spyder and have more that the ticking clock and the traffic to deal with. 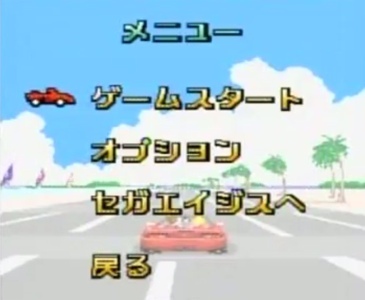 During your drive you will be chased by your rival, he will try his best to get in your way and to knock you off the road. You have to beat him to each checkpoint if you want bonus points and to rank high in the global scoreboard. 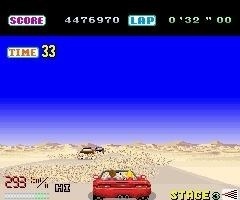 SEGA Japan released several SEGA AGES games to the 3G mobile service including a pretty close arcade conversion of OutRun. The only real difference is the red Testarossa has been changed for something that resembles a F40\F50. 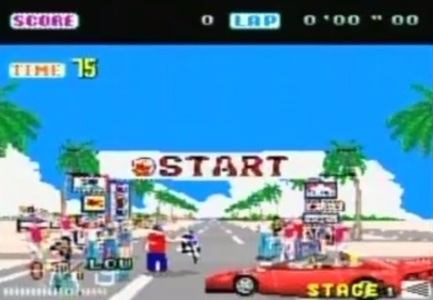 This kind of change was also seen in OutRun that came with the Yu Suzuki Game Works release for the Japanese Dreamcast. Maybe this is due the Ferrari licensing issues? Anyway…check out the pics and video below for a look at what those lucky Japanese gamers get to download. – Perspective change as you swipe through your home screens. – Random mode with smooth transitions. – Many configuration options are available to adapt Retro Road to your device and needs (speed, toggle elements, FPS limit, …).